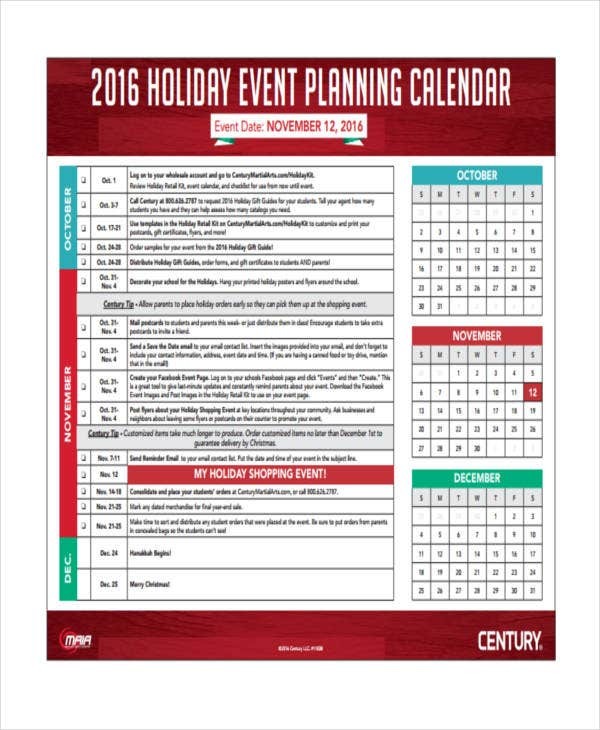 Planning calendars can be beneficial to business establishments, organizations, individuals, and any other entities that would like to allocate specific dates and/or time frames for their activities. This way, their day-to-day activities are well-organized and planned out. 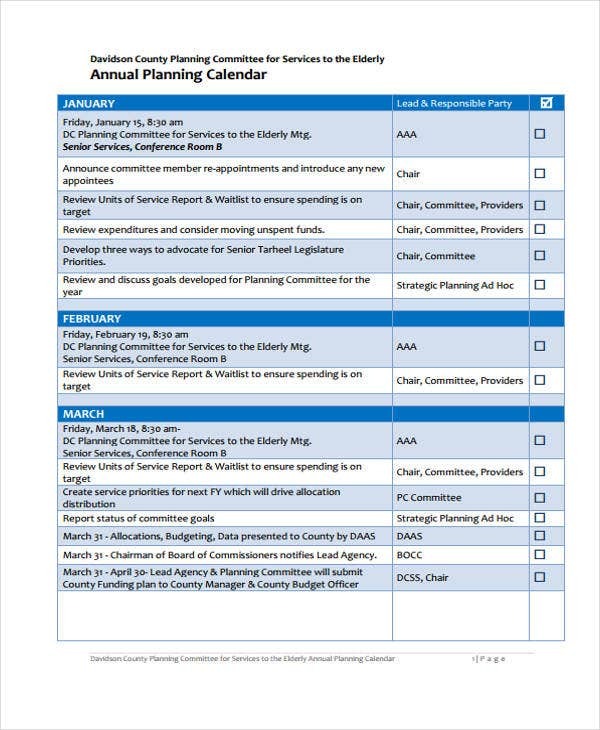 We have on this page a collection of various planning calendar templates that you can use to guide you in creating one (or two) of your very own. We can provide you with other kinds of Word Calendar Template samples as well. And if you’re an HR personnel, you’ll definitely need on of our Payroll Template samples. Check them out and don’t forget to download. Be specific with the planning calendar that you want to create. 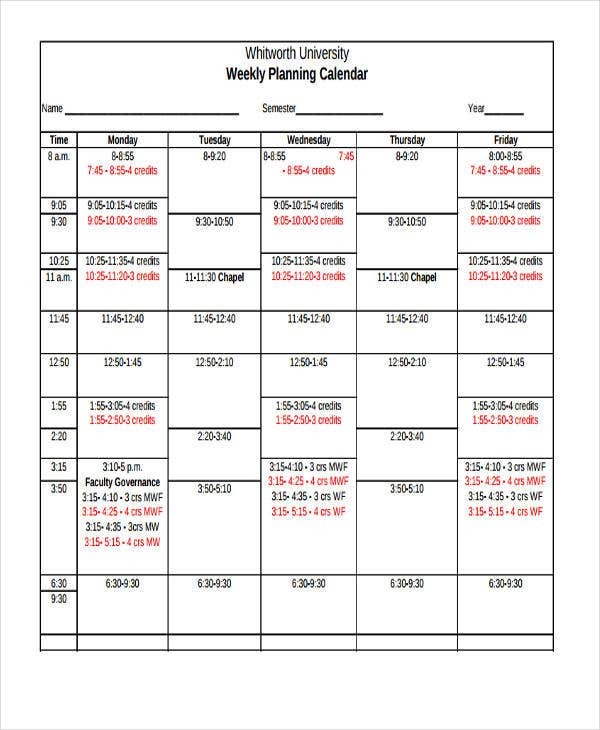 Since there are different kinds of planning calendars, it is very important for you to put information in your template that are relevant to the processes where the planning calendar will be used. We can provide you with more samples of Project Calendar Templates if the content of your calendar is mostly about the planning and/or implementation of projects. 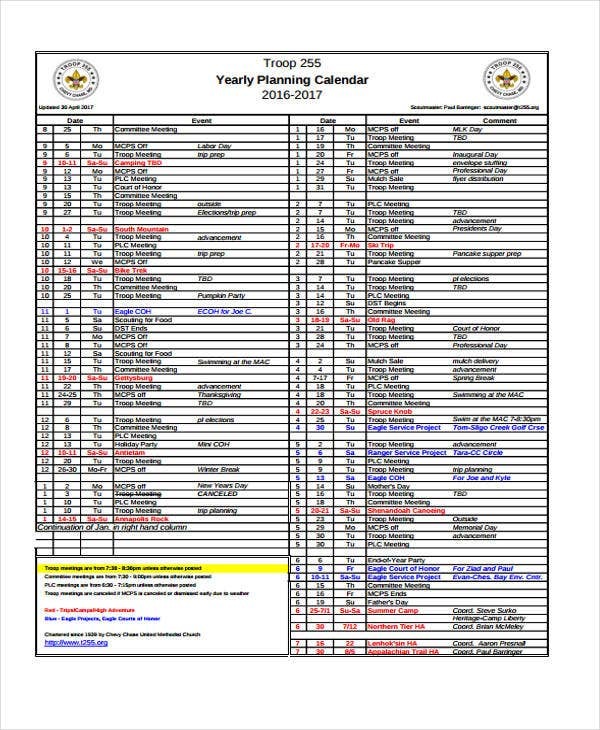 List down all the items that you want to place in your planning calendar. This will allow you to not forget any important information that should be considered to achieve the efficient creation and implementation of your planning calendar. It will be easier for you to create this document if you already have a guide that can tell you the appropriate items that should be placed in the planning calendar that you want to make. 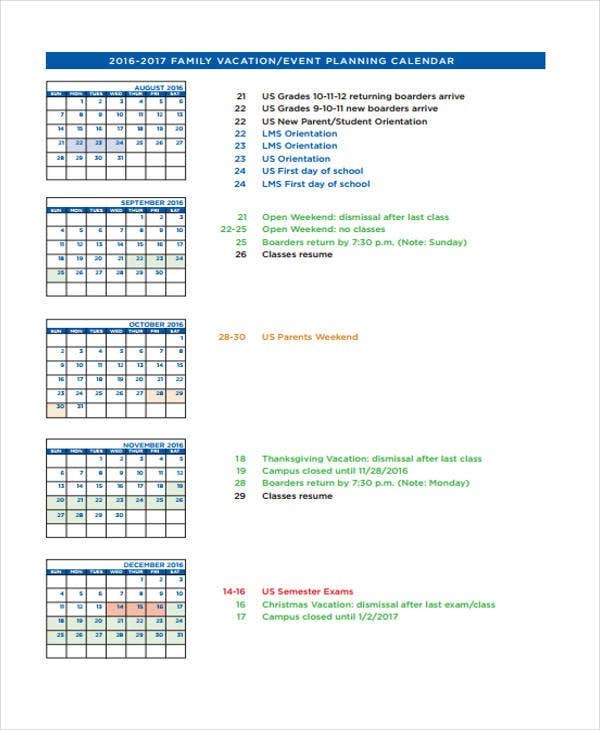 For this, use either our planning calendar templates or any other Blank Calendar Templates as reference. 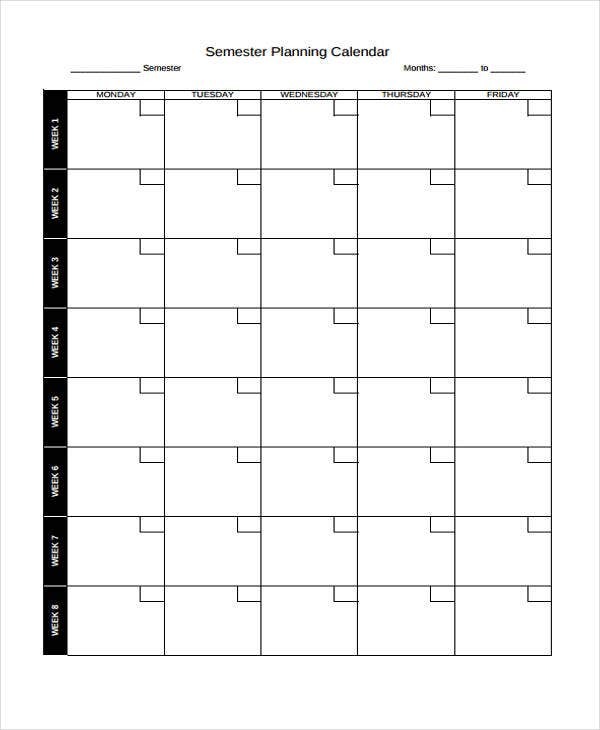 A meal planning calendar is used to specifically allocate meals that need to be eaten by an individual at specific times of the day. 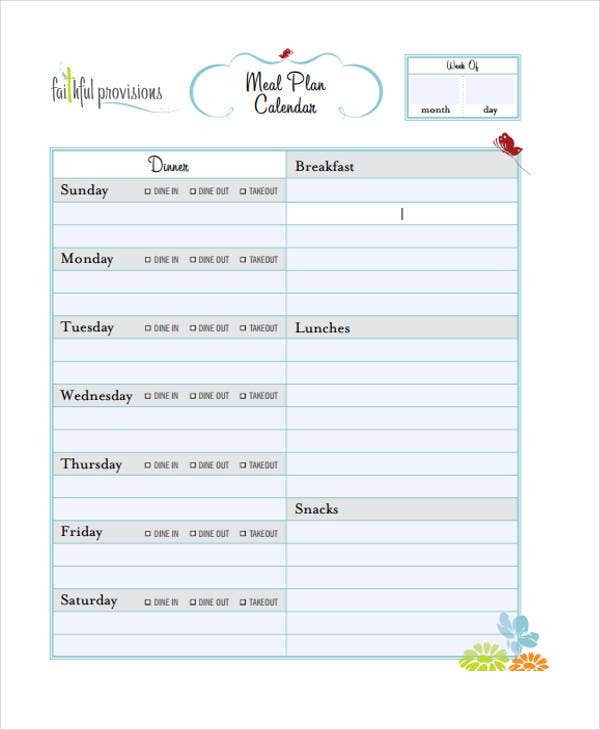 Meal planning calendars can be used by people who would like to control food intake. These can also be used by patients who have medical conditions that require them to eat specific kinds of foods in certain quantities. 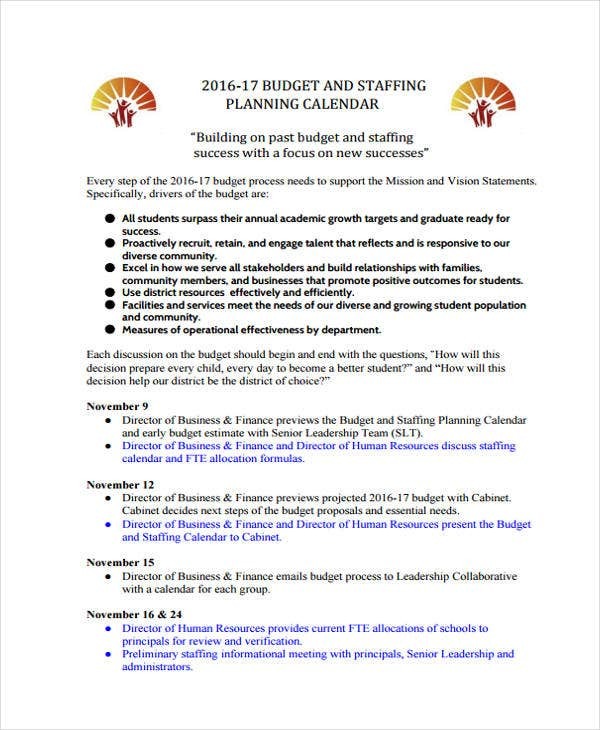 A yearly planning calendar is used by businesses and organizations to list down the goals that they would like to achieve in the next operational year. 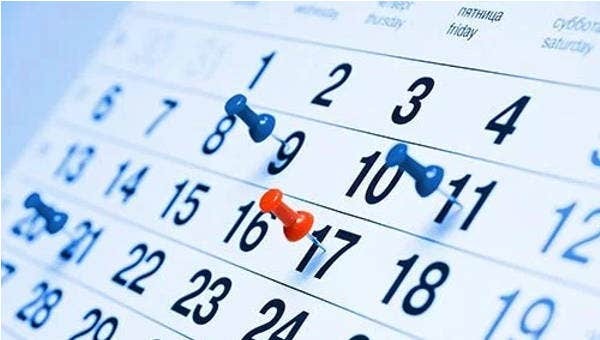 This planning calendar allows the assessment of the past achievements of the business and what they need to improve so they can create a new and effective yearly calendar. 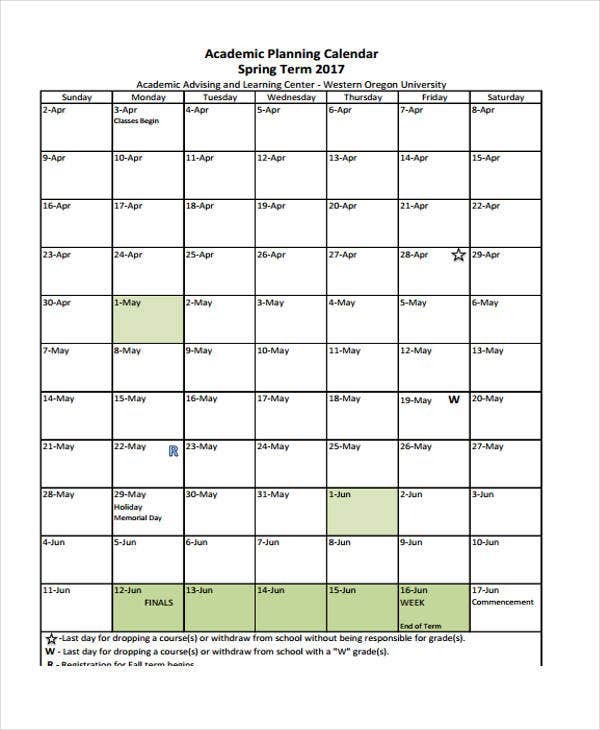 A semester planning calendar is created by an academic institution to properly give academic subject slots and assignments to their teachers. 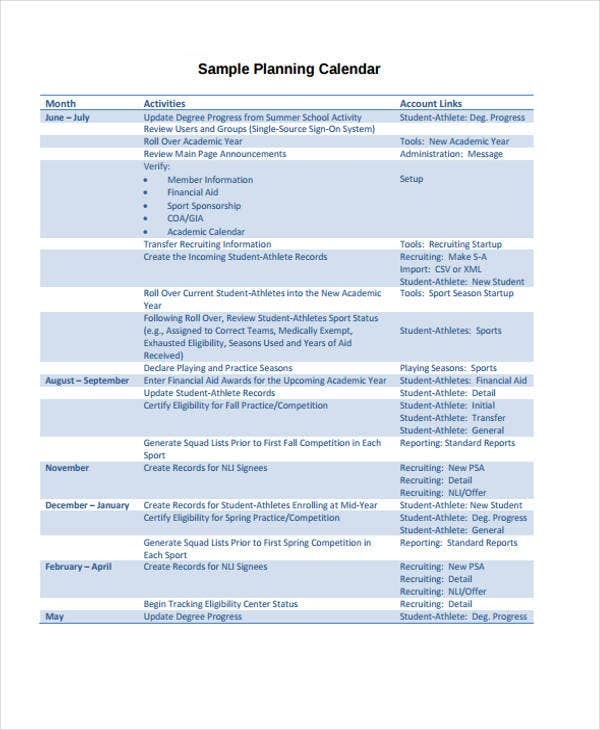 Semester planning calendars may also be used by students to plot their schedules within a specific semester. Aside from our planning calendar samples and templates, you may also want to view our downloadable samples of Monthly Calendar Templates for additional references.